« Winter – Will it Ever End? Now that the weather is clearing, I hope to get some decent photos soon. 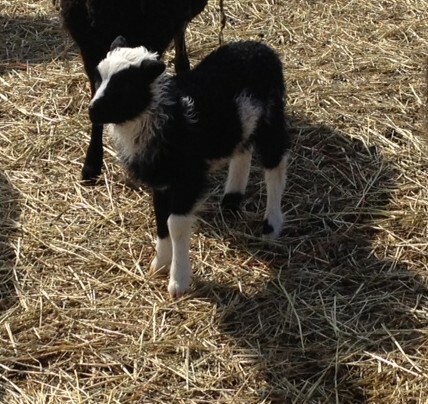 In the meantime, here are a few lamb photos. All are for sale. 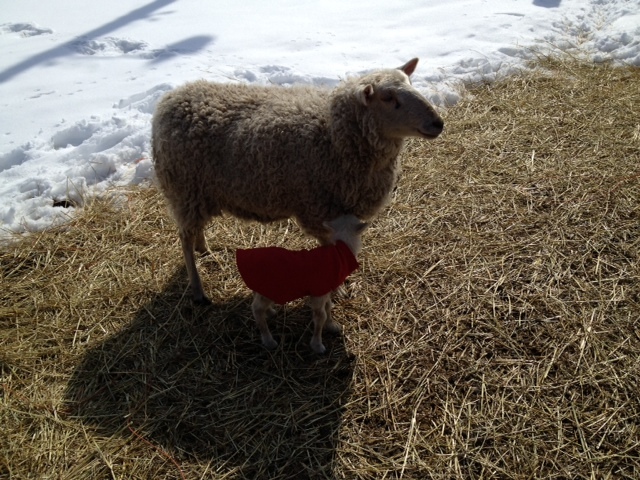 This is mulesheep Sasha with her newborn ram lamb. She went down about three weeks before the lambs were born. Our vet thought that the lambs were pinching on some nerves. We didn’t know if we would lose her, the lambs, or both. She delivered a HUGE lamb, a tiny lamb (both stillborn) and this nice boy. We were happy that she made it through with one live lamb, was up and walking within a few days, and has had no problems since. 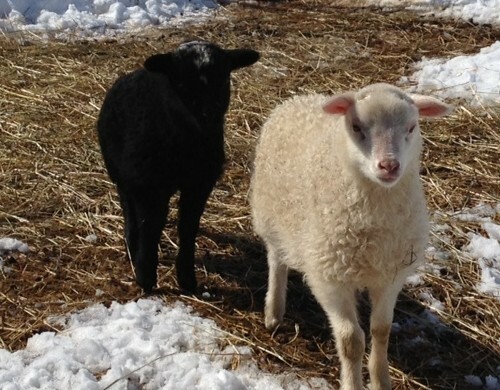 3/4 Finnsheep 1/4 Shetland Retta. Very soft, curly fiber; growing like a weed! She carries for brown.